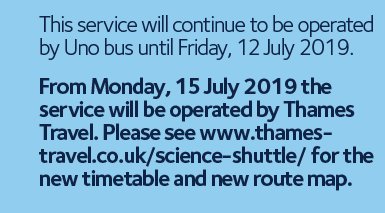 Transit Shuttle service route ST1 , ST2 & ST3 services are not running from Thur 18th April- Mon 22nd April 2019, due to Oxford Uni Fixed closure & Bank Holidays. Normal services will resume on Tuesday 23rd April. We apologise for any inconvenience this may cause. Planned road closure of Morrell Avenue from 20 Mar – 23 March 2019. Duration of the closures, route ST2 & ST3 unable to serve Warnford Ln bus stops either direction. Instead, buses will be traveling via Headington Rd & Gipsy Lane both direction. Customers required to hail for the bus at the assigned bus stop and drivers are only allowed to drop off customers at the assigned bus stop. Route ST2&3, St Clement’s bus stop towards Oxford City Centre suspended due to an unsafe building, buses will only be serving the temporary bus stop posted either side of the suspended bus stop.